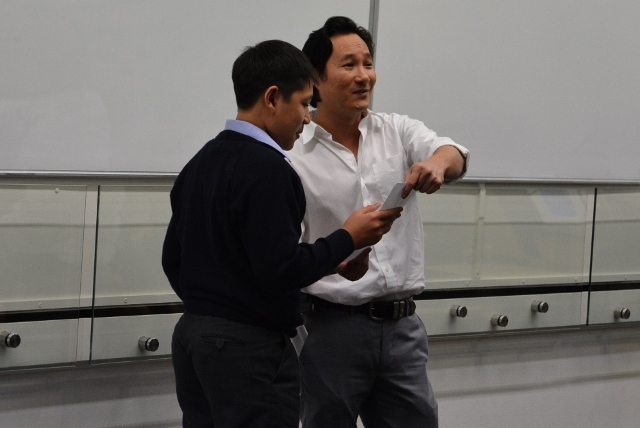 Our students were offered the amazing opportunity to attend a session with local author Son Bac Ngo. Son has published three books so far in his Legendary 12 series. The first book, in a picture book format, explains how the animals of the Chinese zodiac came to be. The remaining books are graphic novels, each one focusing on an individual animal. Mus Mouse and Ole Ox are already available and keenly read by our boys. The next instalment is due soon. Son spoke about reading his first comic book on arrival in Australia as a young Vietnamese refugee and how he loved the great adventures of Superman, but also used the graphic format to help him learn English. 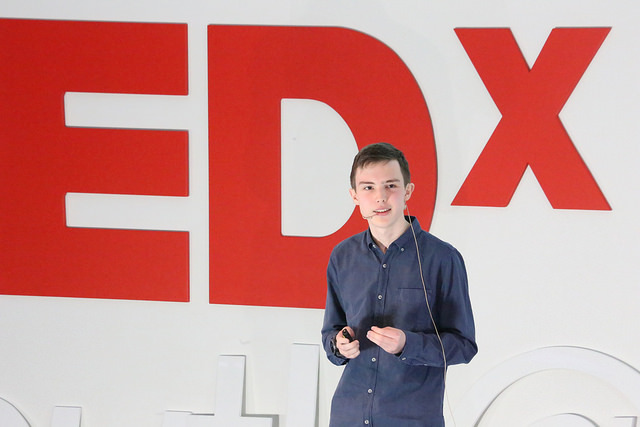 This experience led to a life long love of comics and became the inspiration for creating his own series. 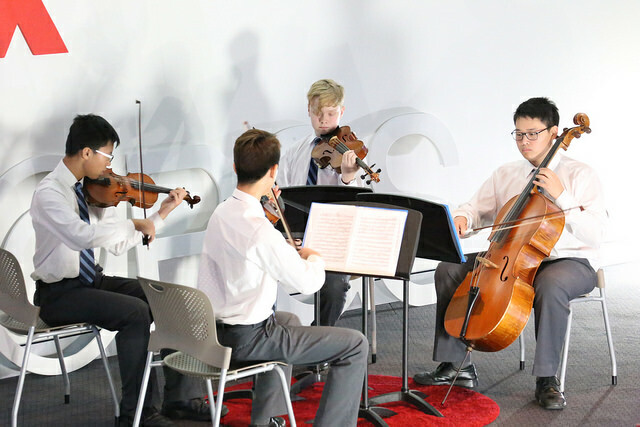 Son is a parent of two boys currently enrolled here at Brisbane Grammar School. For Jag and Eagle, the visit was a unique opportunity to see their father in his professional role as an author. 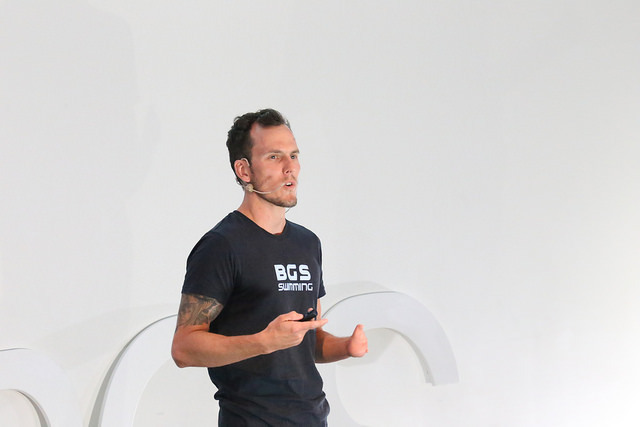 The audience was thoroughly entertained and enthralled by Son’s own personal story as well as his journey as a writer. We truly appreciate the time and effort from Son and his wife, Thuy, in supporting reading for our boys and providing a chance to meet a real-life author. 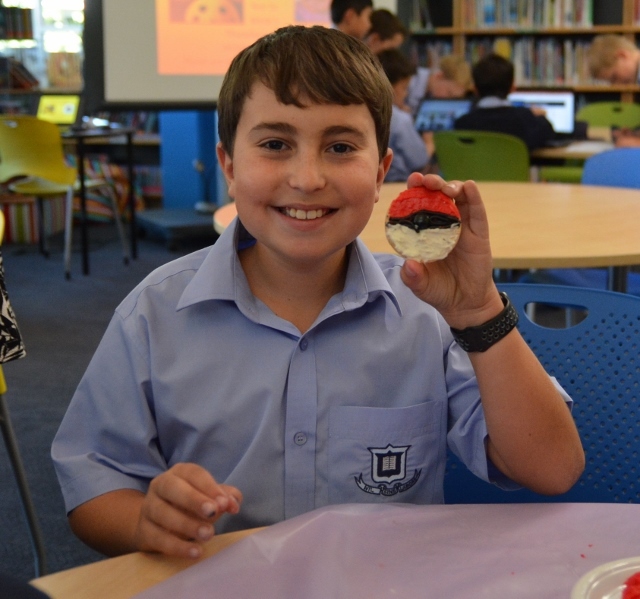 Pikachu, Genga and Wobbuffet have been special guests in our Middle School Libraries in Term 3 with the exciting world of manga becoming our special focus. 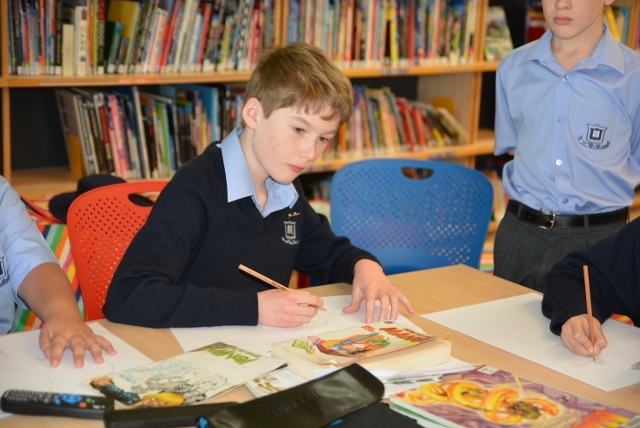 Each week in the term we have offered different activities run by our Library staff during lunchtimes. These certainly generated extra interest in the theme. 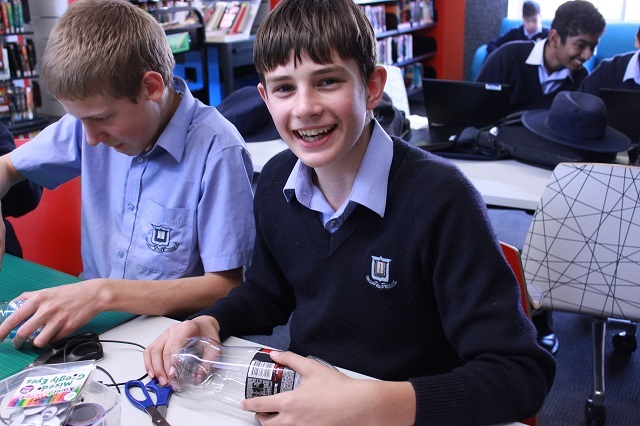 Primarily focussed on boys in Years 5-8, we did offer two opportunities for the entire student body to be involved. We began with a pop-up bookstore. 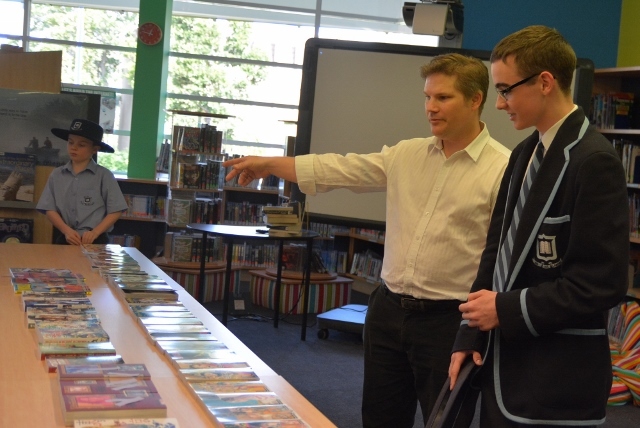 All students (years 5-12) were invited to come and peruse a selection of books which were provided by Zombster, a manga and anime specialist store here in Brisbane. Boys were able to nominate the titles that looked interesting to them and we purchased a number of these. 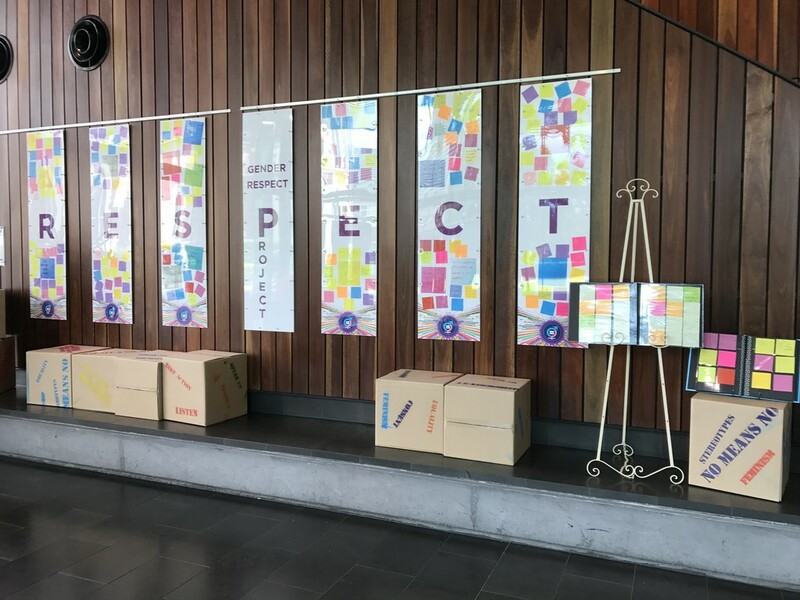 This was a great way of involving student voice in the selection of titles for our collection and the books were processed as quickly as possible to maintain the momentum the store generated. 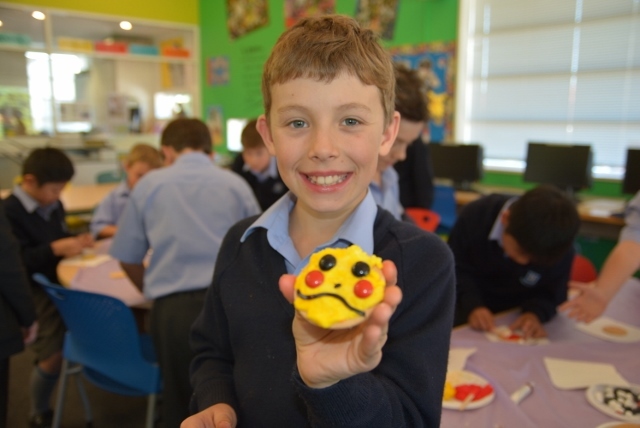 Over the course of the term, boys have competed for Pokemon prizes via Kahoots, learnt how to draw manga, created dragons, watched anime movies and even created Pokemon cookies. Papercraft Pikachus have also been created and carried home proudly. 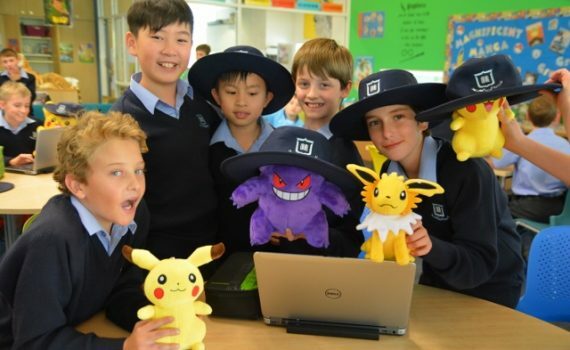 Our Years 7 and 8 Library ran a Grumpy Cat in Manga competition which allowed boys to create a new scenario for the mascot digitally or on paper. 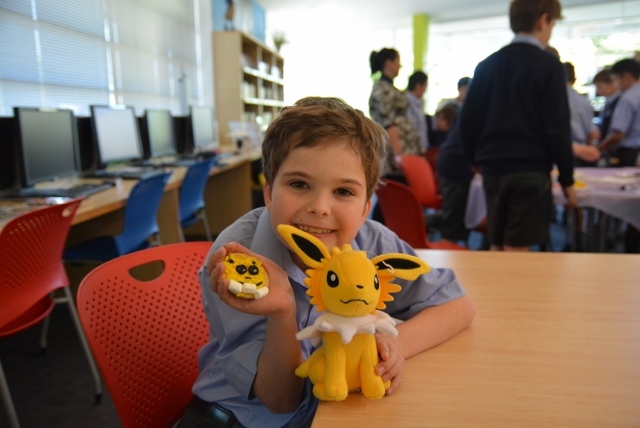 We also ran a Pokemon hunt with augmented reality which was a huge hit. 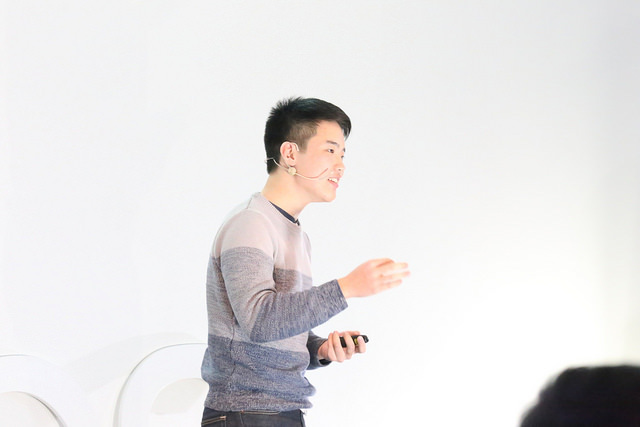 We were not just limited to manga and we broadened the focus to encourage boys to read graphic novels as well. We are fortunate to have a parent who is currently writing a series of graphic novels based on the Chinese zodiac. Called the Legendary 12, the initial picture book explains the origin of the animals and each subsequent graphic novel tells the story of one of these animals and their adventures as they seek to recover missing diamonds. 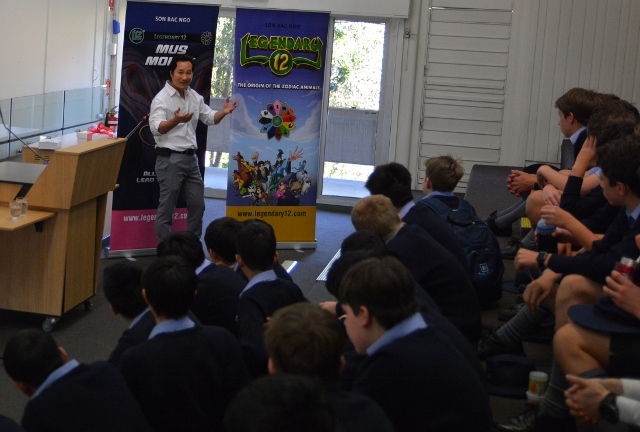 Son Bac Ngo visited this week to speak to an audience of boys from Years 5-12, all of whom are interested either in manga as a genre or in the art form or simply in the stories themselves. 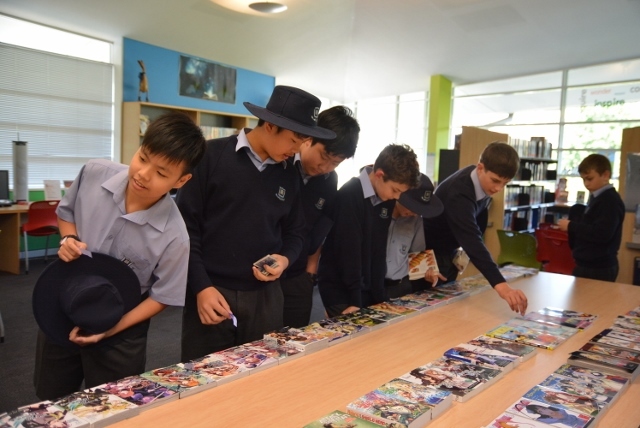 This focus on manga has certainly increased the interest in this genre in our Middle School libraries. 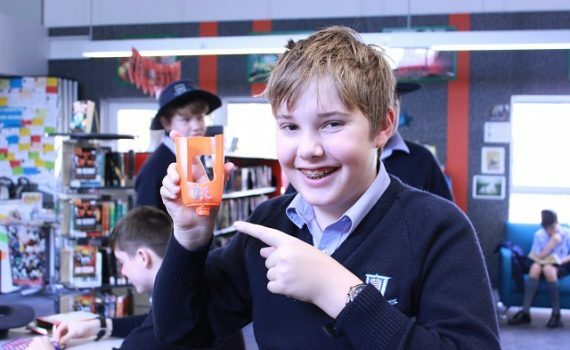 Boys who were already keen readers have appreciated the new titles on offer and those who had not read any previously have enjoyed the new experience. 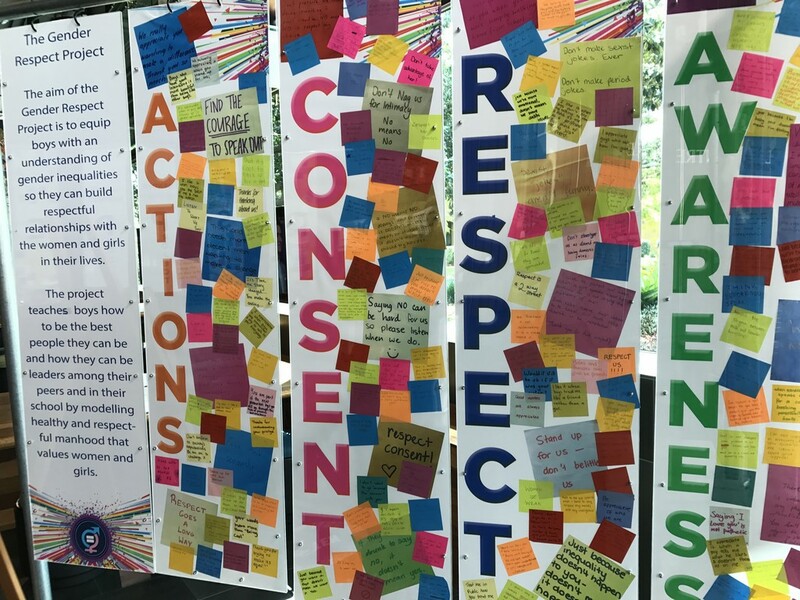 The Gender Respect Committee, a part of our Public Purpose Program, aims to educate our students on important social issues. 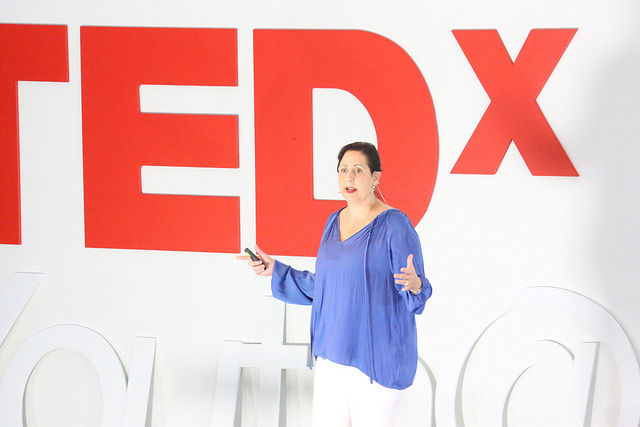 The committee was the brainchild of Philippa Douglas, Coordinator of Public Purpose. 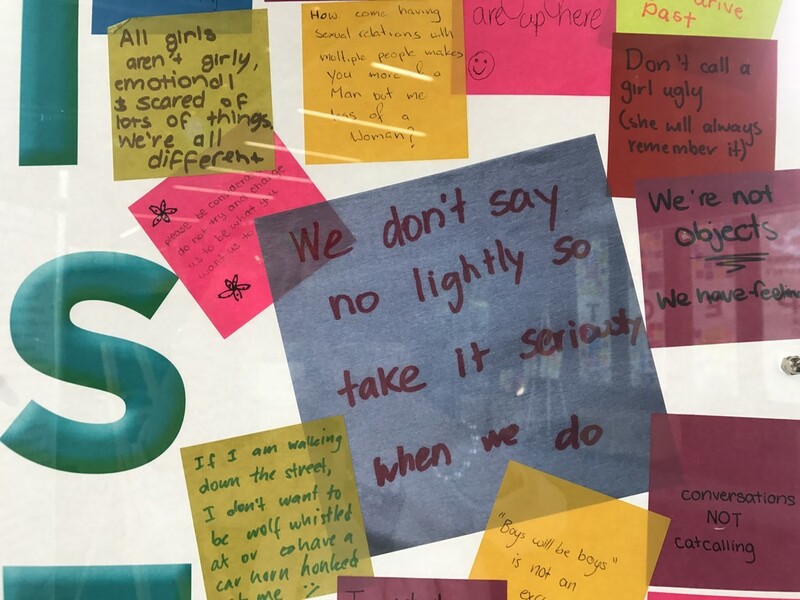 Their latest campaign ‘Listen to Her’ has seen the boys on the committee working with girls from surrounding girls’ schools to learn what gender respect means to young women of today. 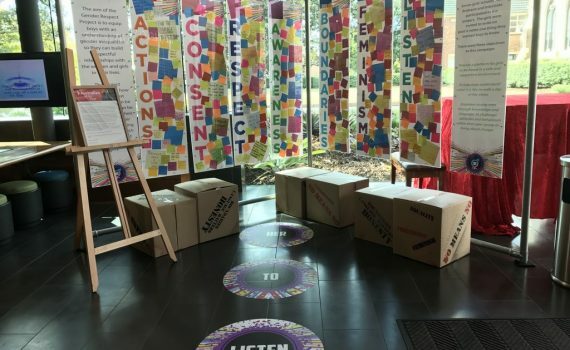 This has culminated in an amazing display outlining important aspects of gender equality from a youth’s perspective, located in the Learning Commons in The Lilley Centre. 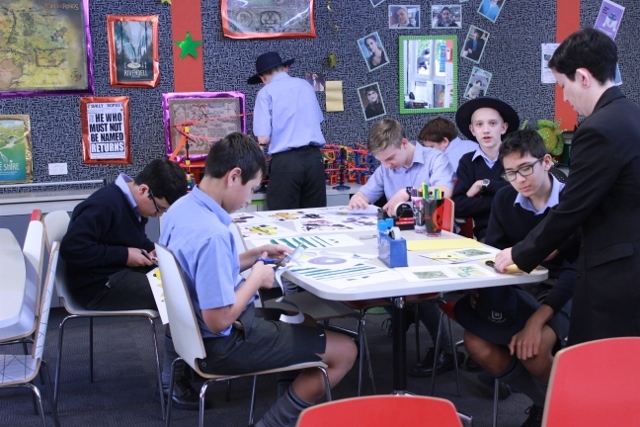 The aim of the Gender Respect Project is to equip boys with an understanding of gender inequalities so they can build respectful relationships with the women and girls in their lives. 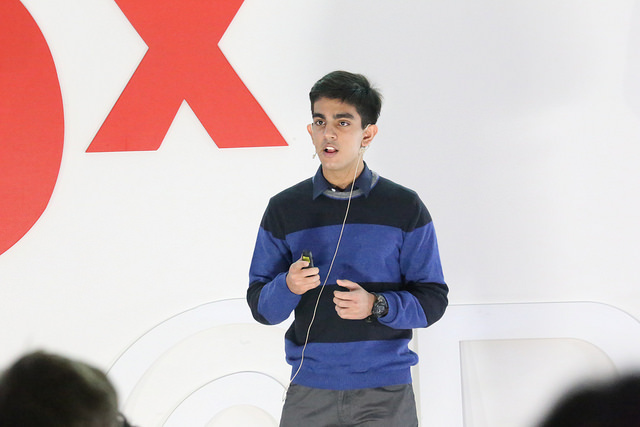 The project teaches boys how to be the best people they can be, and how they can be leaders among their peers and in the their school by modelling healthy and respectful manhood that values women and girls. 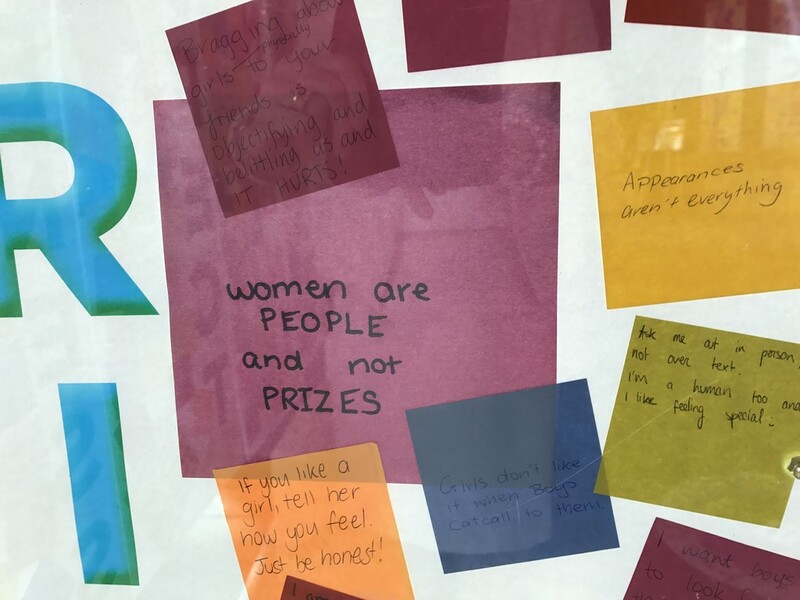 The Listen To Her Campaign, a part of the Gender Respect Project, was created to help boys see the world through the female lens. 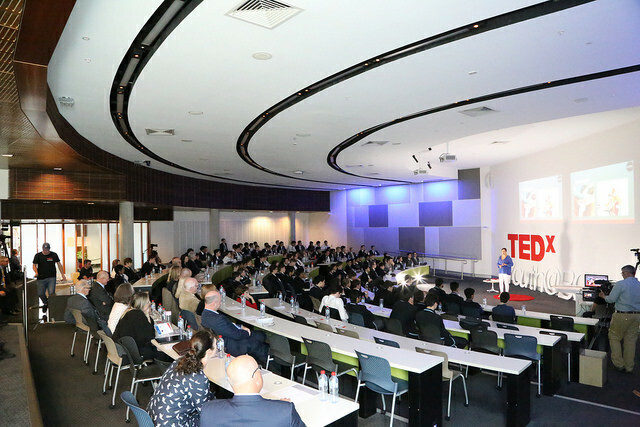 Seven girls’ schools from Brisbane and Interstate participated in the project. 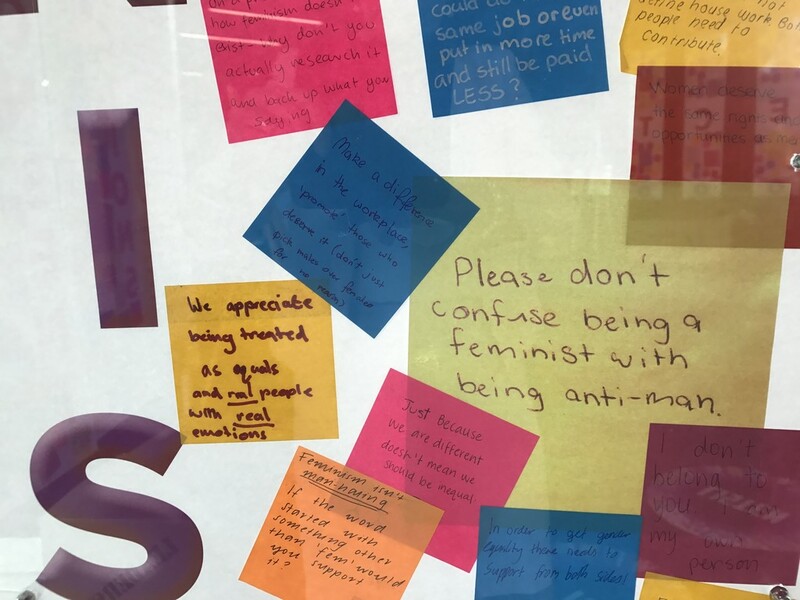 The girls were invited to write on post-it notes one thing they wanted boys to know. 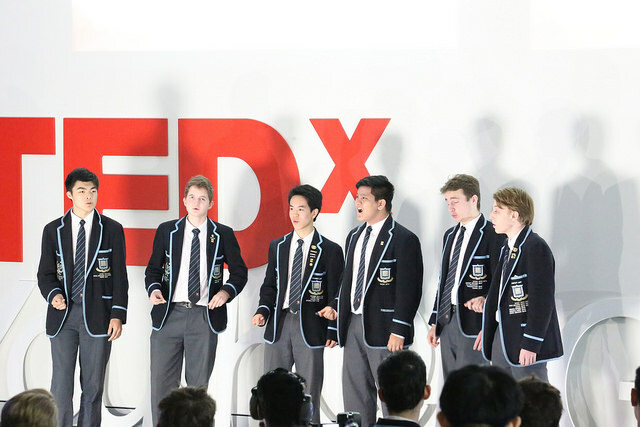 To empower young men through knowledge and language to challenge attitudes and behaviours within their peer groups to bring about change. 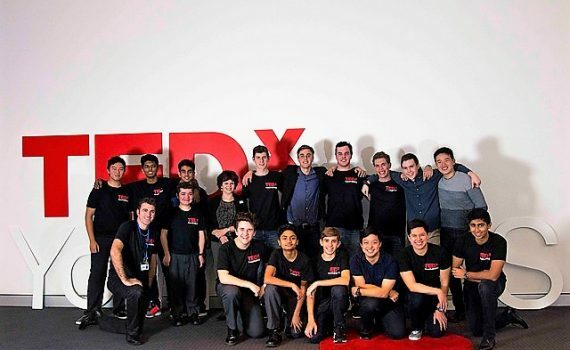 To the men of the Gender Respect Program, Brisbane Grammar School … Taking time to see the world through the eyes of others and to hear their challenges is quintessentially human, but too few pause to do just that. It is all too easy to immerse yourself in the busyness of your own world. But be warned. I feel that such a course leads to a diminished life; shallow and selfish. You have taken a different path and will leave a great legacy as a result. Now I know from my own experience that taking a stand will attract the criticism of some. That is life, I guess. I find an observation by the Greek philosopher Aristotle helpful when that happens. He said, “Criticism is easy to avoid. You just need to say nothing, do nothing, be nothing.” So stay strong, keep the faith and be someone. 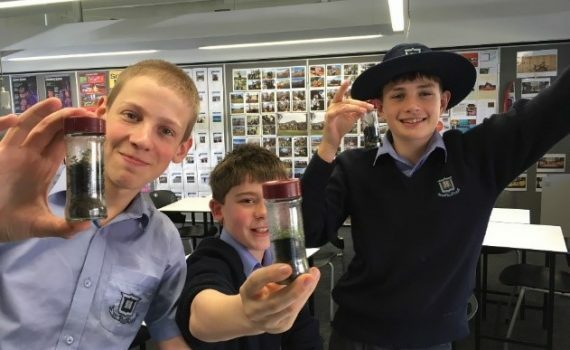 The Lunchbox Club participants have been enthusiastically exploring ecological themes and water cycles by cultivating Spice Jar Terrariums. Building on the knowledge they have gained across time in Science, the boys were able to explain comfortably the processes of the water cycles and were even in deep discussion about pressing sustainability and environmental issues. 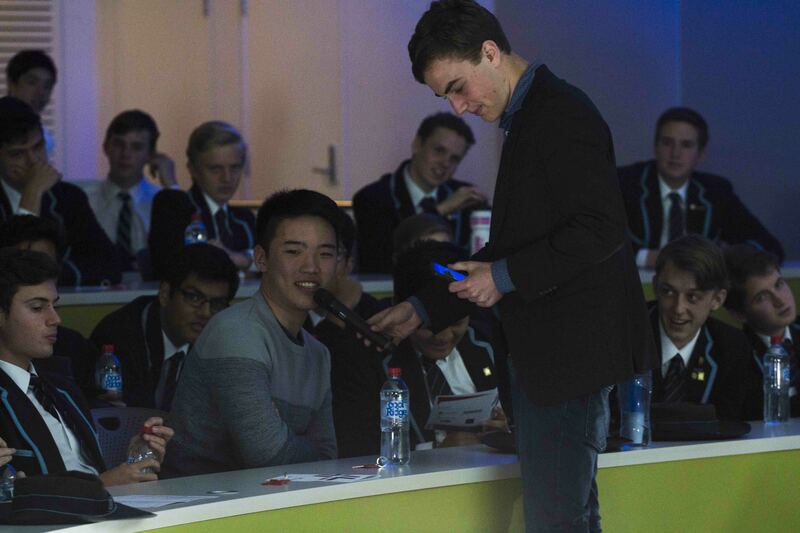 The eXchange hosted a series of Deconstructing Tech workshops, designed to teach students how to do a ‘tear-down’ of the most popular tech devices. The boys have disassembled various generation iPhones in the first workshop in this series, followed by exploring computers and tablets with Mitchell Collins, one of our IT support staff. The hottest things right now in animation are Frankentoys. Imagine mashing together a doll and a dinosaur to create Barbiesaurus Rex or gluing your favourite action hero’s head to a troll to make Spidertroll. The fun (or chaos) doesn’t need to end there. After they are created we will be using them in stop motion productions. This simply cannot be boring. 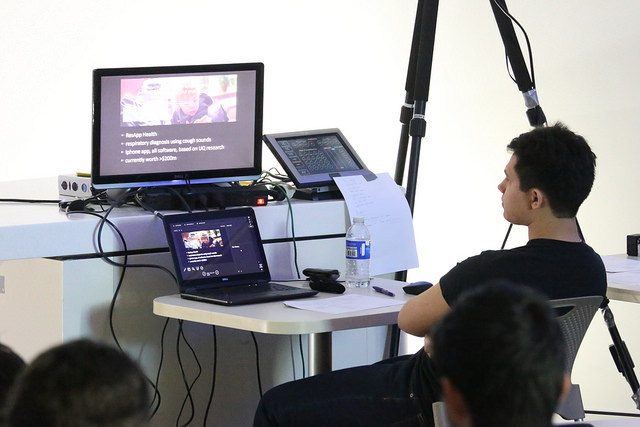 Workshops started in week 4, so watch this space for the final versions! 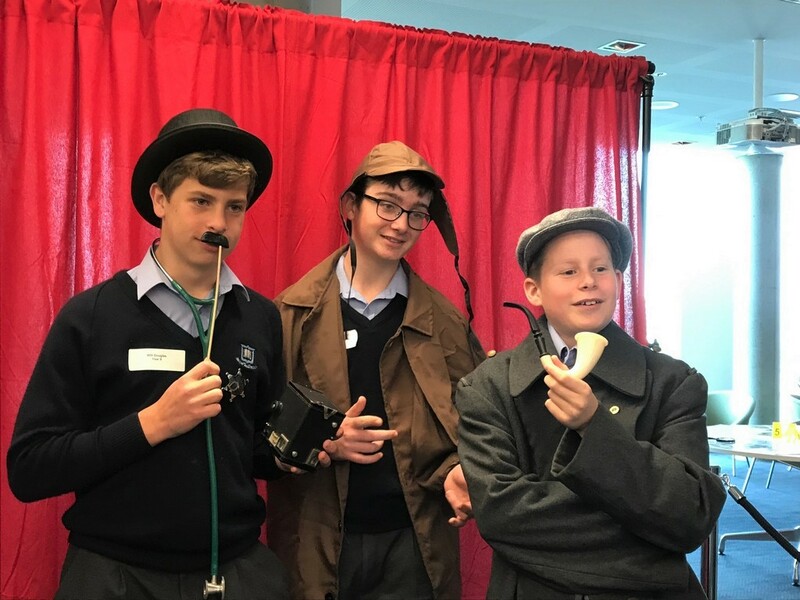 Science Week has continued on at Brisbane Grammar School’s Centenary Library, thanks to Library Student Volunteer Ms Teneale Muir. 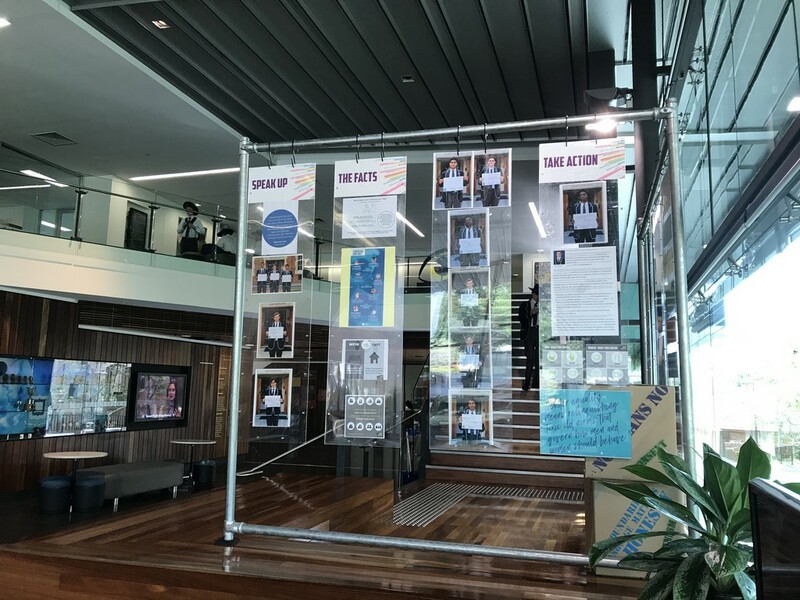 Starting four weeks ago, Teneale has worked in all three Brisbane Grammar libraries as part of her university studies placement. 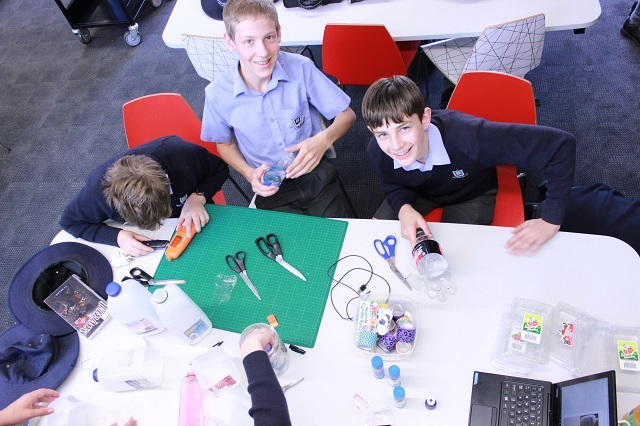 During this time, Teneale has created a Plastic Free theme in the Centenary Library by making a wall display detailing the effects of plastic on our planet, a dragon out of recycled plastic to add to the Fantasy theme currently running in the library, and lastly, running a workshop on reusing plastic rubbish, teaching the boys how to make a phone holder using a plastic bottle. 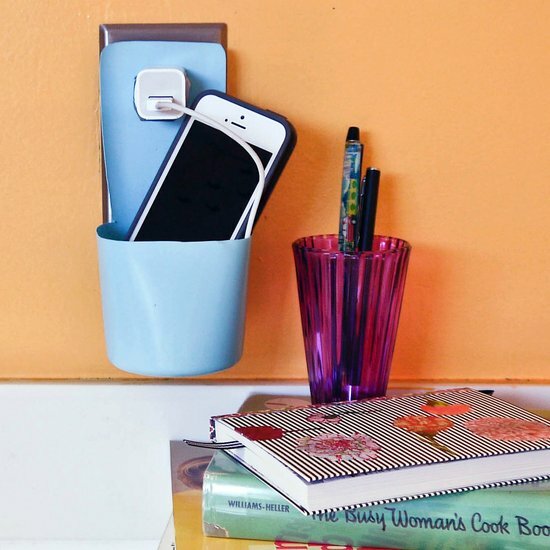 Students were given all the materials required and enjoyed being able to not only create something that would hold their phone and lead but also help with reducing waste. Ms Muir has always tried her best to recycle or reuse rubbish where possible. 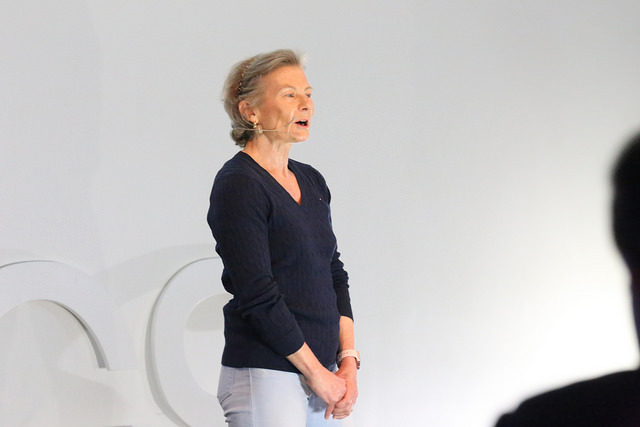 After watching the ABC’s War On Waste series recently, her knowledge on what plastic is doing to the planet changed, along with some of her family’s rubbish removal habits. For example, her three year old now knows what soft plastics are and to put them in a separate bin. These go to their local Woolworths to be recycled rather than go to landfill. 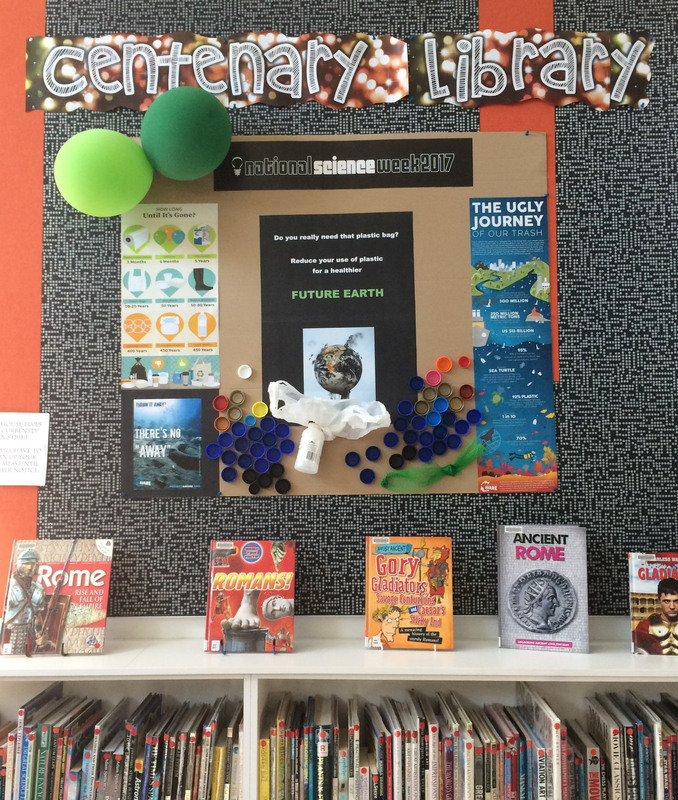 Teneale enjoyed implementing the Plastic Free theme into the Centenary Library for National Science Week’s Future Earth theme, and hopes it provides students with an insight on what plastic is doing to our Earth. 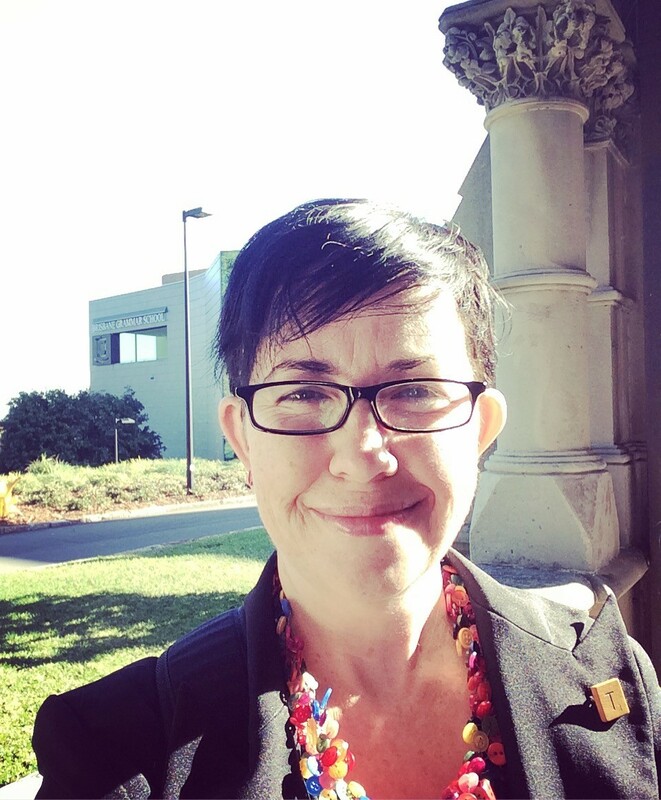 Ms Muir will be finishing her field placement this week, and has thoroughly enjoyed her visit at Brisbane Grammar School. 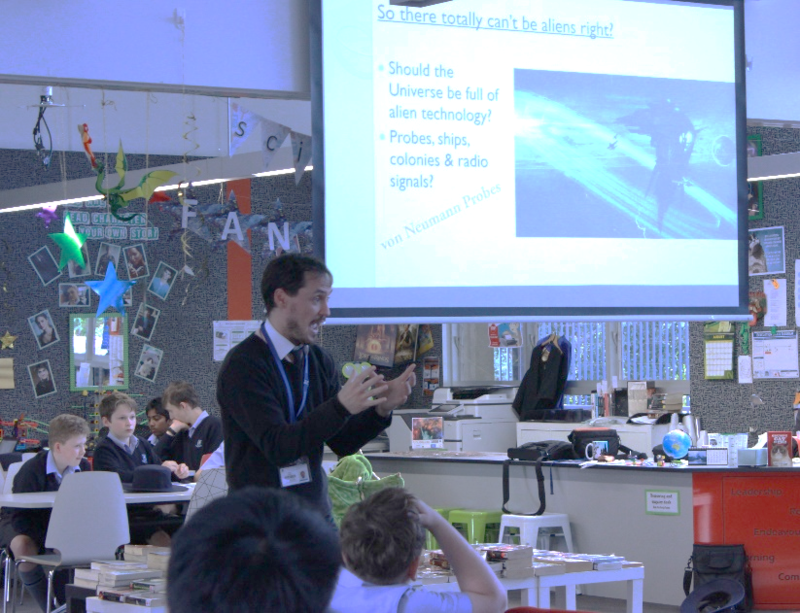 Science Week – tweaking their curiosity! Open Day this year marked the first day of National Science Week and was an excellent way to kick off our annual partnership with the Science Department and tweak the curiosity of both young and older visitors. 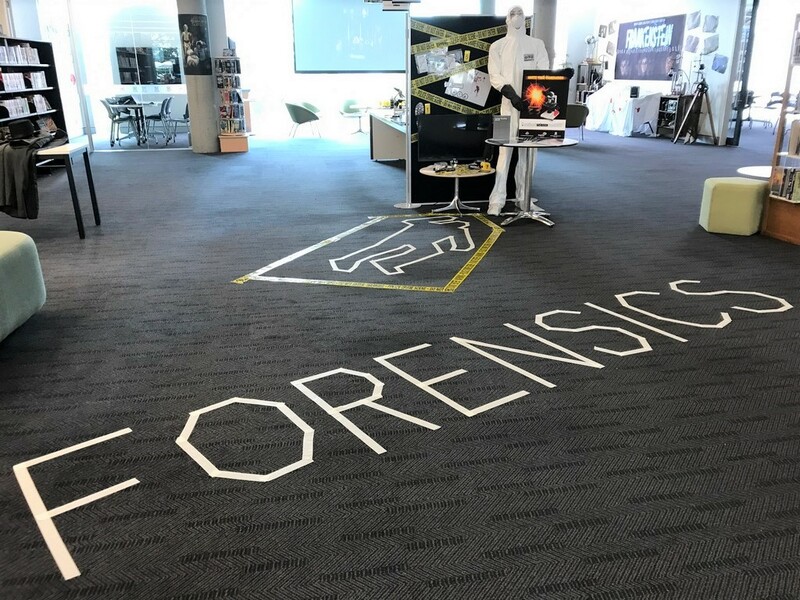 A Forensic Science display in the Senior Library allowed visitors the opportunity to see and use technology and scientific techniques used by the police force to help solve crimes. We were also very indebted to the University of Queensland ….. Department, for the generous loan of their ……. kit. Visitors were able to explore examples of plaster castings and various species of fly larvae used to help estimate time of death and decomposition rates. 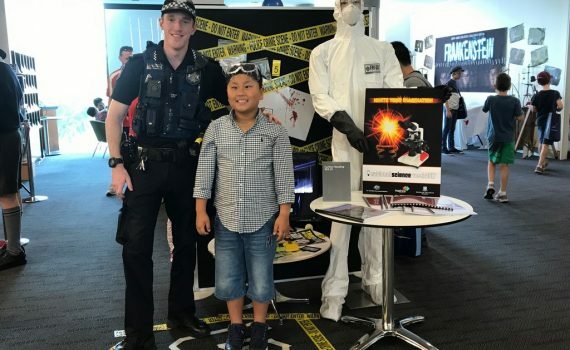 Black light showed up fingerprints, and microscopic investigation of blood, pollen and fibre samples were available for budding young investigators. 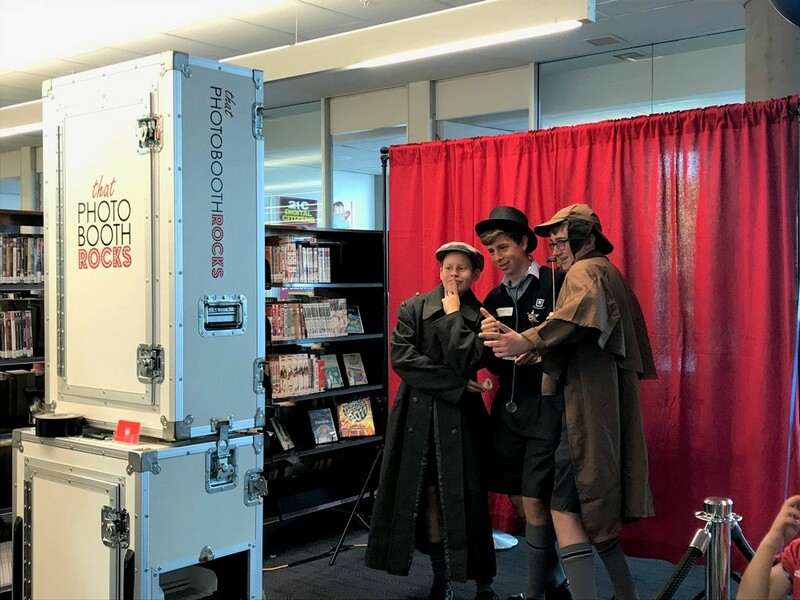 The hit of the day, however, was a photo booth where visitors could have fun dressing up in detective costumes. Science Week continued in full swing with Science teachers and teacher librarians working together. 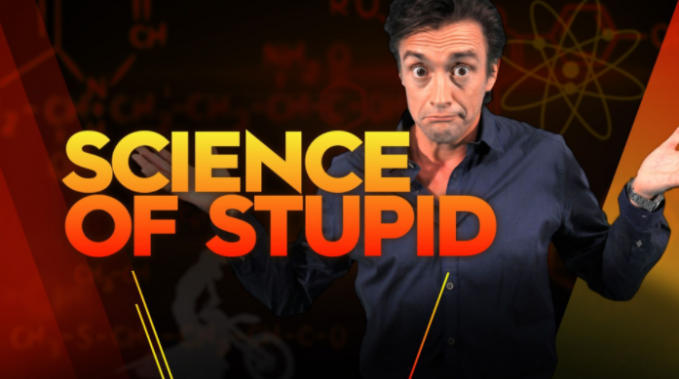 To lighten the mood during the week and show the humorous side of science, the Middle School libraries screened episodes of Richard Hammond’s The Science of Stupid, a show that gives detailed explanations of the science behind breathtaking stupidity caught on camera. 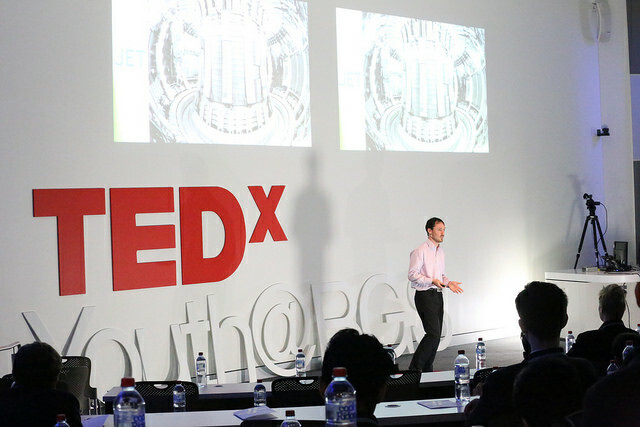 Physics teacher, Scott Jones, also gave an abbreviated version of his TEDx talk – Where are all the Aliens? 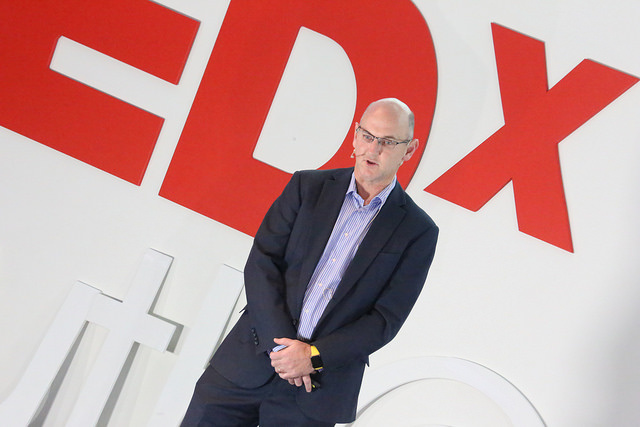 – addressing the ongoing question of life in our Galaxy. With 100,000 light years in size and over 100 billion stars, why have we not seen other civilisations out there in the Milky Way Galaxy? 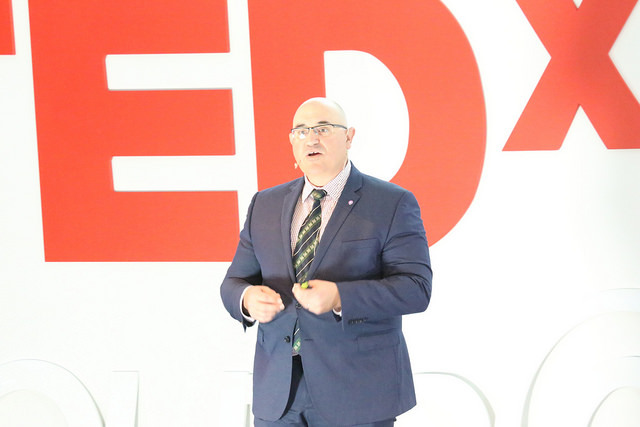 Scott examined some of the best ideas concerning the topic and finished with a brief discussion about the need for humanity to take full control of our world and its environment to ensure the future for our children and enable us to one day explore the galaxy. Middle School Science teachers took over both libraries with practical demonstrations of the physics of air pressure and friction, encouraging students to construct air-powered cars from cardboard and balloons, and then test these experimental models against one another on the racetrack. 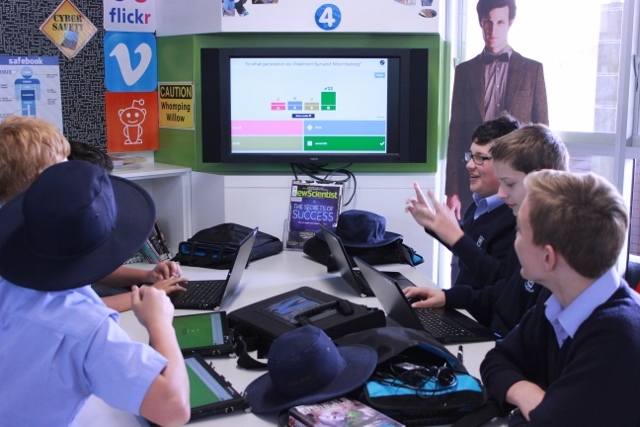 As the week came to an end, students from Years 5-8 competed for prizes in exciting year-level-specific Kahoot quizzes, designed and created by Science staff to challenge the students’ scientific knowledge about topics ranging from Chemistry to Astronomy to Biology. We love partnering with all departments, but Science Week holds a special place on our calendar each year. 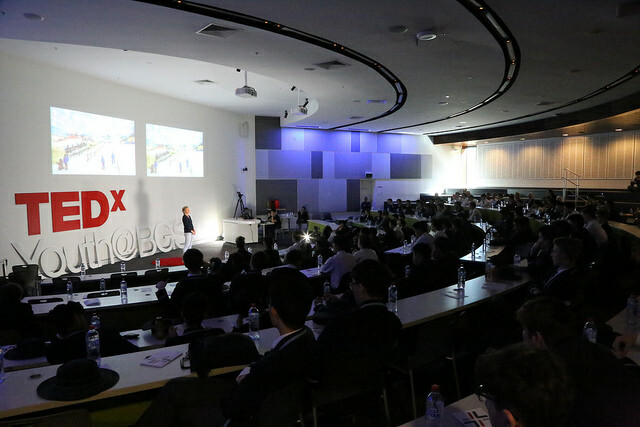 Last Friday, 200 students and guests enjoyed the culmination of months of planning and hard work when they attended our second TEDxYouth@BGS, held in the Forum. 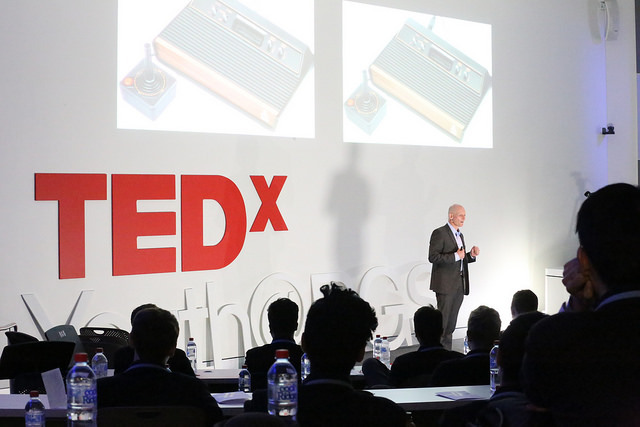 TEDx is a worldwide program, consisting of locally organised TED events where local speakers can showcase their ideas and inspiring stories, and we were very proud that two of our staff members – Scott Jones, Physics Teacher and Rick Pendleton, Swimming Coach – and three of our Year 12 students – Ashmit Vyas, Sam Souyave-Murphy and Edmond Chang – were all willing to share their ideas with a global audience. Our event represented an outstanding achievement, not only by the speakers, but also by the team of students who worked tirelessly in the background to organise the speakers, the performers, the program, the website, the ticketing, the marketing, the parking, the catering, the AV, the recording, the photography and the overall smooth running of the event on the day. 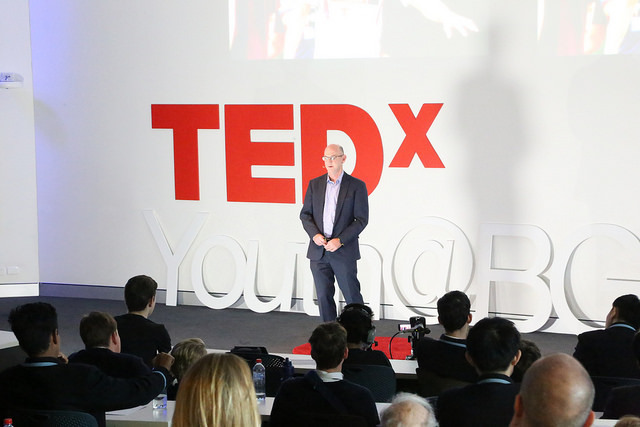 We were also extremely fortunate to have the help of a speaker coach this year, Carl Lindgren, who has been involved in TEDx since its worldwide inception, and who generously gave up hours of his time to help create a wonderful event that Brisbane Grammar School can be proud of. 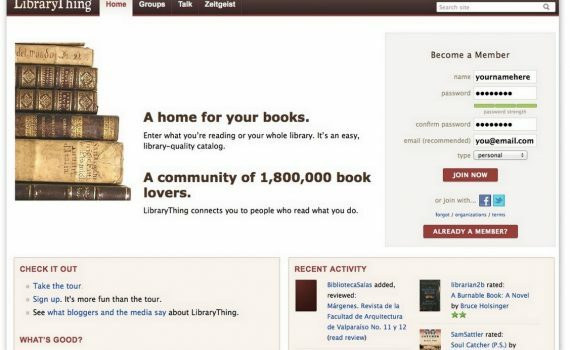 LibraryThing is a great way to keep details of what you have in your own library, or of the books you have read or want to read. I have been a member since 2007, and have 173 of my own books listed. It is so easy to navigate, I only needed to add the ISBNs of my books into the site and all the details of the books appeared. I am able to see other lists and can join book discussions; there are even free books and member giveaways. I have so many books I still want to read that I will soon be starting a new list on LibraryThing of ‘Books to Read’. In our school LibraryThing is linked to the catalogue so students can find book reviews or see similar titles to books they like to read.